The Zingo Adaptive Consumer Experience Solution brings the personalization of the online experience to physical venues, allowing consumers to receive the personalized, relevant, real-time content, ads, and offers across a variety of clients, including smartphones, digital signs, kiosks, and applications that projected onto walls or even store windows. ThingZingo is the platform behind the Zingo solution, orchestrating the incoming data from this "Internet of Things", and coordinating the real-time, personalized response across the various clients. Welcome shoppers on their mobile phones as they enter your store. 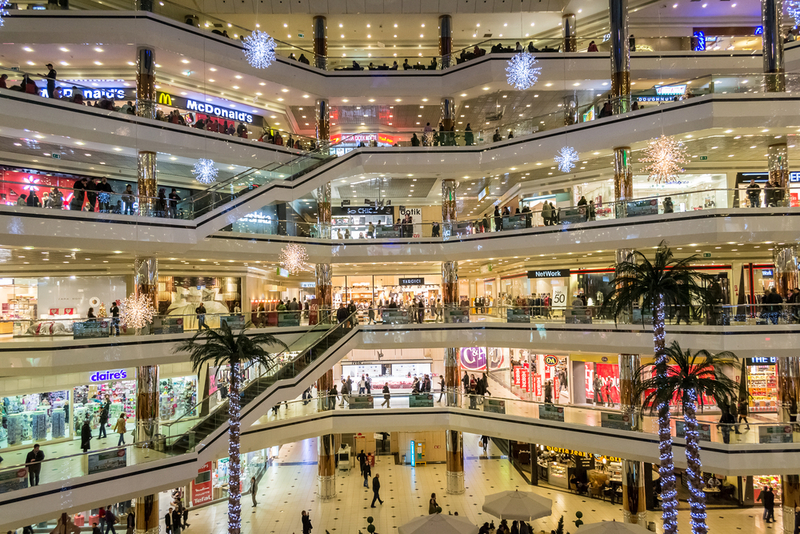 Send highly targeted, redeemable offers to shoppers based on their in-store location, demographics, social interests and purchase history and let them share those offers on social media. Update nearby digital signage to show a personalized welcome message and relevant advertisements to those who are nearby. Project applications on to columns and walls, turning that “dead” space into consumer interactive spaces. Provide interactive touch screen educational kiosks and showcases with transparent LCD panels to provide content on the glass of the display case. Sound like science fiction? It’s real and it’s available to retailers now. “De-couch” fans by providing a “gotta be there” experience at the stadium. 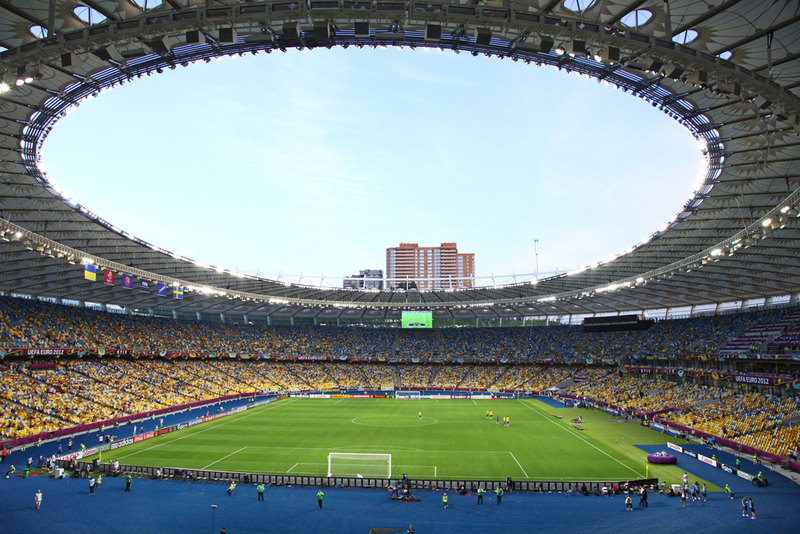 Welcome arriving fans on their mobile phones as they enter the stadium and help them find their seats. Send highly targeted redeemable offers from the gift shop as fans walk by, based on their demographics and social interests. Allow them to purchase seat upgrades during the game. Notify fans when their friends arrive and let them share pics online and post them to the jumbotron. Bring your Hall of Fame into the stadium with interactive display cases using transparent LCD “glass” with touchscreen capabilities. Communicate with your students, alumni, faculty, and sports in real-time, on campus, in the stadium, or around the town. Provide wayfinding data to new students and visitors, update digital signs in real-time for relevant campus events based on student field of study and interests. Generate additional revenue by sending targeted offers from campus bookstores, stadium gift shops, and nearby businesses. Allow alumni anywhere in the world to connect. MobileZingo is the base client of the Zingo Solution. Mobile Zingo is an SDK that is added to an existing mobile application, allowing the mobile phone to communicate with the ThingZingo platform to send a receive data that is used to create the personalized, real-time experience in a venue. SignZingo is a digital signage client that works with the ThingZingo platform. ThingZingo can, in real-time, update one or more advertisement elements that are displayed in a template for the sign based upon the specific information about nearby consumers. For example, the sign can display an advertisement for a new brand of men’s running shoes available at that location if there are men nearby the sign, or show women’s running clothing if there are women in proximity. DisplayZingo is a kiosk client at allows users to interact with touchscreen applications that are presented on touch screen kiosks. We provide standard touchscreen kiosks of various sizes with custom developed applications that can educate or entertain consumers in the space, based upon the interests of those consumers. For example, the kiosk app may change from an app that educates people about different types of beers to one that educates about different types of wines if the person approaching has previously purchased wine there. SurfaceZingo is a is very much like DisplayZingo in that it provides an interactive, touch enabled experience to users. SurfaceZingo, however, uses overhead projectors and motion sensor technology to project the application on a wall, column, or other “dead” space in a venue and can sense when people touch the projected applications. 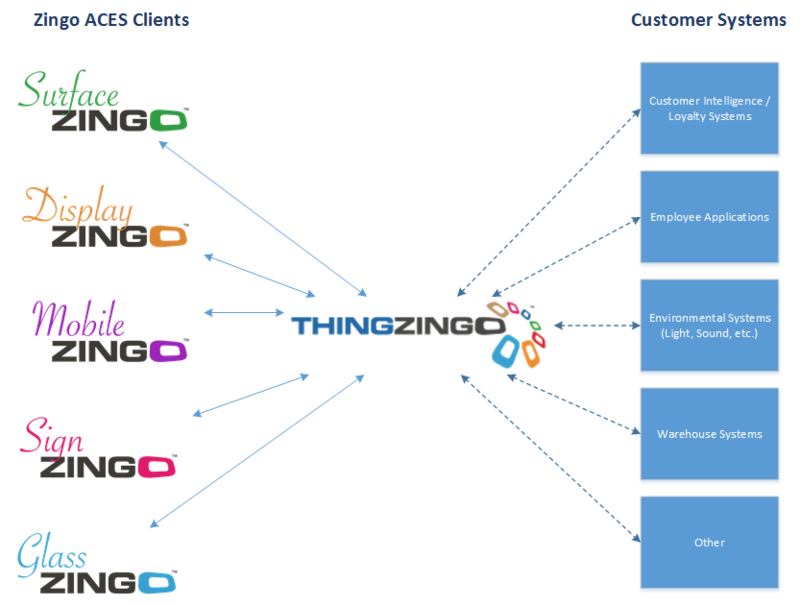 ThingZingo provides context and orchestration to the “Internet of Things”. It takes incoming messages from mobile apps, in-store sensors, business systems, and other connected devices and based on proprietary algorithms and configured rules, will send a coordinated, contextually aware response to other devices. ThingZingo utilizes BLE Beacons (iBeacons), geo-fences, and other proximity technologies to understand where users are. Unlike other vendors, ThingZingo is technology “agnostic”, meaning that it works with any brand of beacons. It can use an existing proximity infrastructure or beacons can be provided as part of the solution. Feel free to give us a call or shoot us an email. You can also reach us through social media. Copyright 2014 - OpenCommerce LLC.com - All Rights Reserved.